The Playa Lakes Joint Venture (PLJV) spends considerable time working with Farm Bill conservation programs—from conservation delivery and policy staff who spend time working with partners to ensure more effective on-the-ground application of the programs to the science staff who develop biologically-based decision support tools to site these programs for the most effective and efficient outcomes. 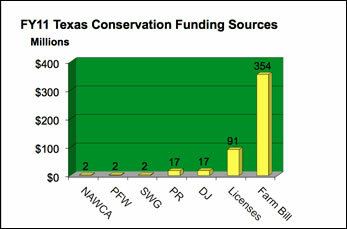 Let’s take a look at the history of the conservation programs supported in this important legislation. In 1933, as America was in the midst of the Great Depression and the Dust Bowl was devastating farms across the Great Plains, the first Farm Bill was signed, guaranteeing commodity prices didn’t fall below a certain level. At this time, one in four Americans lived on farms (now less than one in 50); farm income had dropped by 52 percent; and by 1933, farm income was 40 percent of urban incomes. The goal of the bill was to get farmers to take land out of production and reduce the crop surplus while increasing prices. As the Dust Bowl continued to drive farmers from the plains, soil conservation practices became the focus of the next three bills (from 1935-1938). The Soil Conservation Service was established in 1935 to oversee programs intended to protect land from soil erosion. Social and economic policy analysts determined that conservation was in the public interest and, therefore, the public should contribute to the farmers’ costs. Farmers were paid to replace soil-depleting crops (including corn, cotton and wheat) with soil-conserving crops (grass, legume or cover crop). Although the intent was to reduce surplus crops, surpluses grew because farmers enrolled their poorest ground in the conservation program while using technology to increase yields on their best land. During World War II, the increasing world market led to higher commodity prices, and the government developed huge surpluses to ensure national security. Conservation was put on hold as farmers cashed in on high prices. When the war ended, the demand for commodities shrank causing greater surpluses, which the 1949 and 1954 Farm Bills did little to control; conservation was not addressed in these bills either. In 1956, the Soil Bank was created, which took 29 million acres out of production and put them into practices for soil, water, forest and wildlife conservation; in exchange, landowners received rental payments. The land retirement programs (acreage reserve and conservation reserve) aimed to reduce erosion, support farm incomes, and reduce commodity price support payments by reducing supply and raising market prices. Farm productivity, and therefore surpluses, continued to grow in the 1960s as conservation payments were used to improve soil quality and increase yields. The 1961 Farm Bill attempted to remove more corn and grain sorghum out of production by paying farmers to put the land in conservation. But, in the 1970s, conservation took a backseat to growing crops as American farmers were encouraged to “feed the world”; this was a setback to the past 40 years of conservation efforts as farmers tilled up their conservation acreage and cashed in on the high commodity prices. As the decade came to an end, the USDA became more concerned with water pollution from sediment runoff and the overall quality of water. The 1980s saw a shift in farm policy, with more programs focusing on water, air, and wildlife conservation rather than supply control or increasing the quality and quantity of production. The current iterations of the Farm Bill started in 1985, which included the creation of the Conservation Reserve Program (CRP). More than 36 million acres of highly erodible land and other biologically sensitive and important areas were put into CRP, but the program still needed to evolve before it truly left supply control and income support behind. Farm Bills of the 1990s introduced more of today’s conservation programs, including the Wetland Reserve Program (WRP), Environmental Quality Incentives Program (EQIP), and Wildlife Habitat Incentives Program (WHIP). In 1994, the Soil Conservation Service was renamed the Natural Resources Conservation Service. With its new name, it also had a more focused goal of maximizing environmental benefits per dollar expended rather than ensuring all counties participated; funds were more likely to be distributed to conservation priority areas that were determined as environmentally critical. By 2008, environmental enhancement was finally more important than productivity and supply control, partially due to increasing commodity prices. There was a fundamental change in environmental spending from maximizing the number of acres conserved to maximizing the environmental benefits for the money spent. The Farm Bills of this decade increased funding for EQIP, WHIP, CRP and WRP, and created the Grassland Reserve Program (GRP) and Farm and Ranchland Protection Program (FRPP). Additionally, NRCS Chief Dave White created more than a dozen special initiatives under the EQIP program—such as the Lesser Prairie-Chicken Initiative, Ogallala Aquifer Initiative, and in the Great Basin region, the Sage Grouse Initiative—to focus conservation efforts on geographic areas and deliver specialized practices where needed most. The historical information about the Farm Bill from 1930 to 2002 was summarized from the article History and Outlook for Farm Bill Conservation Programs by Zachary Cain and Stephen Lovejoy.